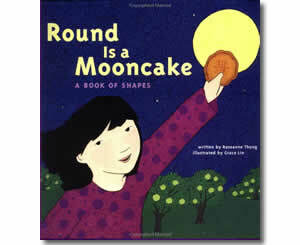 A great book to integrate math with a unit study of China or Chinese New Year. A little girl's neighborhood becomes a discovery ground of things round, square and rectangular. Many of the objects are Asian in origin, other universal: round rice bowls and a found pebble, square dim sum and pizza boxes, rectangular Chinese lace and very special pencil case. The artwork is colorful and will hold children's attention. A short glossary that explains the cultural significance of the objects featured in the book is included. Perfect for read-alouds or one-on-one sharing.